Nikko began producing in 1908 in Japan. Today, Nikko is the finest producer of bone china with the whitest and thinnest body on the market. 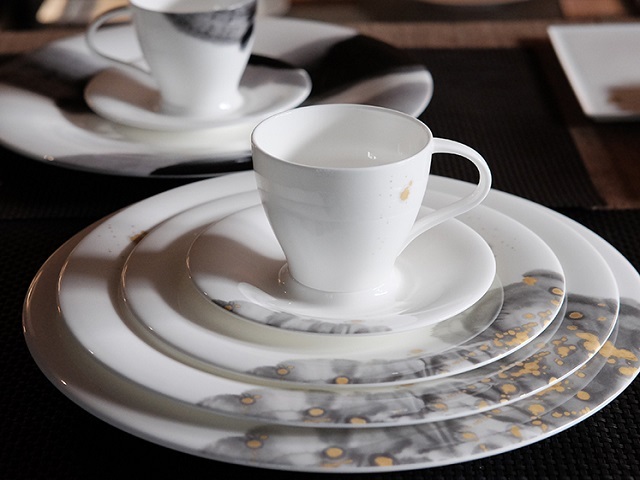 Although the products are so thin they are translucent, bone china is among the most durable ceramics and are dishwasher proof and mostly microwave safe (depending on the decoration). The products are durable for every day and strong enough for the fanciest occasion.